Compatible with Athlon 64 Opteron (Socket 754/939/940/AM2), Intel Pentium D/P4(LGA775). Includes 8mm thick copper tube injected with anti-freeze. 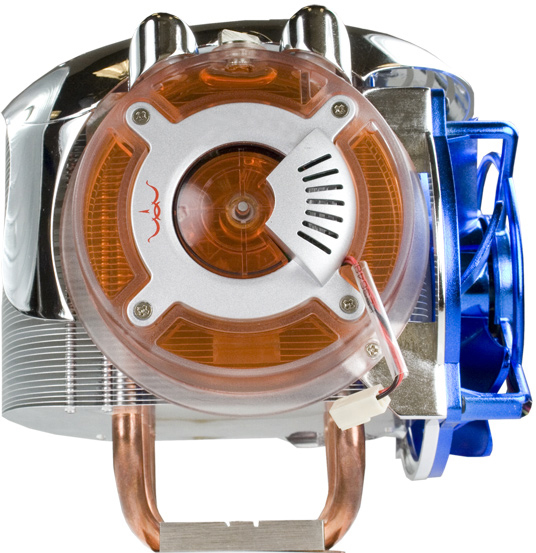 Innovative 12-pole magnet motor design. Uses both liquid and air cooling hybrid technology to improve cooling efficiency.